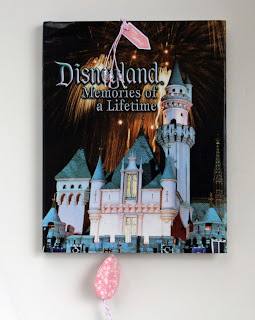 Liz's Paper Loft: My Creative Time's February Sneak Peek ~ Day 2! Hello my paper love friends! Happy Valentine's Day, sorry I don't have "heart" project! I'm kind of done with hearts! lol! Did you hear that My Creative Time's February is having sneak peeks this week? Oh my goodness they are so CUTE! They are a mix of images, sentiments and a layering die. Oh and of course My Creative Time's signature "all around" circle stamp to fit the Scallop & Stitched Circle dies! I know it's little hard to see, but it's really cute in person! This is a layering die, I only used one of the dies. I cut it 4 time then scored in the middle and used Zip Dry glue. I used the Teeny Tag layer die for the tag and added bead to the ends. Now for the best part!!! Make sure you head over to Emma's so you can see how creative my other DT mates are!!! You are always so clever... i love it..
What a great project!!!!! Very clever and I won't tell Cricut!!!!! Liz ~ Now that is CLEVER! A bookmark! I need to do this! 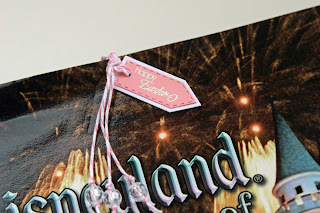 I LOVE the embossing and those teeny tags! Great job! Oh the Cricut ~ Emma's dies are the way to go! very cool, love how you made this!! I could use this for my students . . . thanks for the inspiration! What a GREAT bookmark!! love it! What a cute idea, Liz! I LOVE your bookmark! The egg is gorgeous! Simple great idea. I love it. The color is beautiful. Love being creative. Very nice. What a cute idea! Love this, Liz! 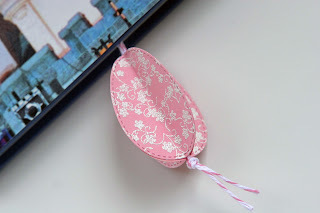 Super cute...love your bookmark!! Very creative idea!! OMGosh what a fabulous idea! This makes such a sweet book mark!!! I am loving that background stamp!! What a great project. Very creative in using the stamps. Very clever project!! I want one!! I just love the soft pink color...and I'm not a pink type of gal. :) Great job again Liz! Wow! Love it. Creative, different and useful. thanks for sharing. I love it Liz and I am totally the same with my Cricut. I'm trying to force myself into using it! I can't wait to see this entire release! It looks so fun! Great egg! Thanks for sharing! Very nice...The large oval die looks interesting and now I want to see the rest :D Great job! What a great idea! Would be great teacher's gifts too! I love the large oval die! :) Thanks for sharing!! Great idea and it looks wonderful. Thanks for sharing. Very cute little idea. Love the egg. great job. You some of the most inspired ideas - love it!!! Very creative and super cute! I feel guilty when I sont use my cricut either:)lol. What a creative use of the dies.